Montreal-based smart garment startup Heddoko is headed to Munich next week to vie for the title of “Innovator of the Year”. The wearable tech company, which is launching a 3D motion capture sports garment, was selected as one of twenty finalists out of more than five hundred developers and innovators by WT Technologies to compete as part of its annual Innovation World Cup (disclosure: our very own Tom Emrich is an advisor to Heddoko). The smart garment category is definitely gaining traction within the wearable space. Gartner recently forecasted that fitness-focused smart clothing will jump from less than one million global shipments last year to over ten million this year, eating the entire fitness wearable device category to become the dominant form factor by as early as 2016. Heddoko’s smart workout clothes are designed to be a virtual coach of sorts, transmitting live data to a user’s connected device to model their movement in 3D, giving real-time instructions and feedback for better performance while reducing the risk of injury. Users can also compare their performance to their peers, as well as learn from higher level athletes and coaches. 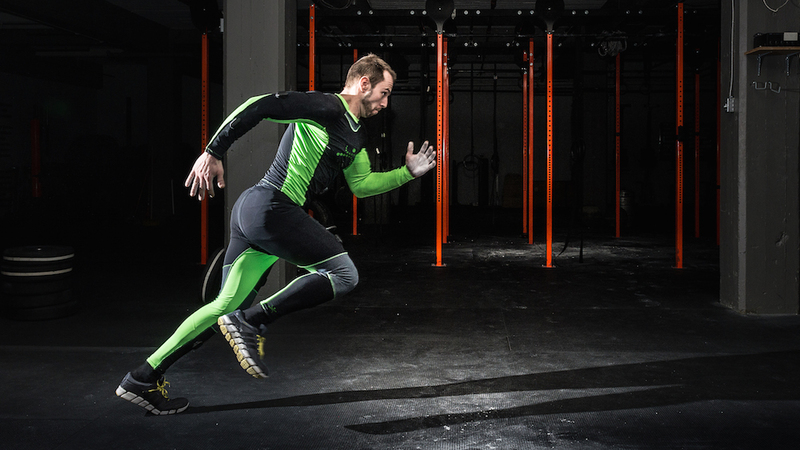 Heddoko will be competing within the Sports & Fitness category at WT Technologies Munich next week against a number of fitness wearables, including two other companies that specialize in measuring human body movement and motion: Notch and StretchSense. Notch makes wearable sensors that can be snapped or integrated into clothing to capture movement in 3D, while StretchSense creates stretch sensors that are used to measure the movement of the human body (interestingly, Heddoko actually uses StretchSense to power its clothing).